The message has gone out: the Red Cross needs blood donations. Shortages of all blood types happen during the summer and around holidays, due to increased travel and accidents. Blood centers most often run short of types O and B red blood cells. Statistics show that 25 percent or more of us will require blood at least once in our lifetime. About one in seven people entering a hospital needs blood. On average, a hip replacement uses one unit of blood, a cardiac bypass or heart transplant uses two units, and a liver transplant ten units. Someone needs blood every two seconds in our country. Donated blood for accident victims must be provided ahead of time, and almost always by total strangers. Once an accident occurs, there is no time to donate the blood. On the other hand, one can donate for surgeries to a specific person-even to himself, under some circumstances. Perhaps someone has donated blood for you. Most of us would be touched if someone volunteered to donate blood so that we might live. In a spiritual sense, Jesus donated His own blood for each of us. No blood is offered by the World’s other religious-neither Mohammed, Buddha, Joseph Smith, the pope, nor Confucius ever offered blood for their followers. Christ did. Have you been to give blood? Let’s contrast our blood donations with His. OUR PINT IS A DONATION; JESUS’ GIFT WAS A SACRIFICE. After we give blood, we enjoy a snack and return to normal activities. After He gave blood, Jesus died. “And Jesus cried with a loud voice, and gave up the ghost” (Mark 15:37). We give what we can easily spare; Christ gave His very life’s blood. Man has sinned away his right to live, “for the wages of sin is death” (Romans 6:23). Since all have sinned (Romans 3: 23), and sin demands the death of the sinner (Ezekiel 18:4), how can anyone be saved? The answer: Jesus died for us. “But this man, after he had offered one sacrifice for sins for ever, sat down on the right hand of God” (Hebrews 10: 12). OUR DONATION IS IN COMFORTABLE AND STERILE CONDITIONS. JESUS GAVE HIS BLOOD ON A RUGGED CROSS. In your mind, contrast the two scenes: First, a patient in a comfortable chair in an air conditioned building with the best equipment; then Jesus on that cross, nearly naked, beaten and bleeding with cries of sinful men shouting for Him to die. Our blood comes out of our arm via a sterile needle-Jesus’ blood came out of His entire body via nails and a whip. After Pilate ordered Jesus’ crucifixion (Matthew 27:26), Roman soldiers viciously carried it out (Luke 23:33). It was customary for the condemned man to carry his cross to the crucifixion site, so Jesus began carrying His cross to Golgotha (John 19:17). Under its weight, and in His weakened condition, His strength gave out en route (Like 23:26). Quite a contrast from the medical clinic, isn’t it? But there’s more . . . The stauros was the Roman instrument of crucifixion. In five passages, the New Testament says the stauros was a “tree” (Acts 5:30; 10:39; 13:29; Galatians 3:13; 1 Peter 2:24). Was the cross. in the shape of an “I” (crux simplex)? in the shape of a “T” (crux commissa)? in the shape of a “t” with a vertical timber extending above the “T” (crux immissa)? Only the last had a place for Pilate’s superscription written in Hebrew, Latin, and Greek: “JESUS OF NAZARETH THE KING OF THE JEWS” (John 19:19). To this cross, His hands and feet were nailed. Against this cross, His massacred back rubbed as He labored to breathe. Upon this cross, He died. OUR DONATION IS QUICK AND RELATIVELY EASY. HIS WAS DRAWN-OUT AND PAINFUL. Actual blood donation today takes about ten minutes. It took Jesus six hours (Mark 15:25,34). The entire process for us-from the time we sign in to the time we leave-takes only an hour. For Him, the process began at 6:00 p.m. Thursday and did not end until 3:00 p.m. on Friday, which is twenty-one hours. Although the Romans did not invent crucifixion, they perfected it as a form of capital punishment intended to produce a slow, suffering death. Crucifixion is thought to have first been practiced among the Persians. Tis origin came from the fact that the earth was considered sacred to the Persian deity Ormuzd, and the criminal was lifted off of it so he would not defile the god’s property. Alexander the Great introduced crucifixion to Egypt and Carthage in North Africa. The Romans appear to have learned of it from the Carthaginians. OUR DONATION GOES OUT-OF-DATE AFTER FORTY-TWO DAYS; CHRIST’S BLOOD IS ETERNALLY FRESH. U.S. blood centers often have difficulty maintaining even a three-day supply for routine transfusion demands. Christ’s blood’s life-giving power is as strong today as it was when it was given at the cross. WE MAY GIVE MANY TIMES, BUT JESUS COULD GIVE ONLY ONCE. It will never need to be replenished. It will remain effective untill the end of times. If you began donating blood at age seventeen and donated every fifty-six days until you reached seventy-six, you would have donated forty-eight gallons of blood. For then must he often have suffered since the foundation of the world: but now once in the end of the world hath he appeared to put away sin by the sacrifice of himself . . . . So Christ was once offered to bear the sins of many (Hebrews 9:26-28). There is an unlimited supply in the incorruptible blood of the Son of God. OUR DONATION DOES NOT MATCH EVERY TYPE OR MEET EVERY NEED. And the Spirit and the bride say, Come. And let him that heareth say, Come. And let him that is athirst come. And whosoever will, let him take the water of life freely (Revelation 22:17). Jesus’ blood reaches men in every race and rank, every class and clime, every tribe and tongue (Hebrews 2:9-10; Revelation 5:9; cf. John 1:29; 12:32; 2 Corinthians 5:15; 1 Timothy 2:4, 6). He embraces every race (Matthew 28:19-20; Mark 16:15-16; Galatians 3:28). The song “The Gospel Is for All” celebrates the truth of the all-inclusive sacrifice of Jesus. In the New Testament we see people of all nations and circumstances responding to His love (Ethiopian, Acts 8; Jews, Acts 2: Gentiles, Acts 10; Europeans, Acts 16; Lepers, Luke 17). God “is not willing that any should perish” (2 Peter 3:9). OUR PINT WILL BE EXPENSIVE TO THE RECIPIENT; CHRIST’S BLOOD IS FREE TO ALL. A pint of blood costs $35, but it can cost ten times more, depending on its typing and testing. On the other hand, you won’t need to bring your checkbook to come to Jesus. Salvation is a “gift” (Romans 6:23; John 4:10); yea, a “free gift” (Romans 5:15-18). We are justified freely (Romans 3:24). The water of life is freely given (Revelation 22:17). The Spirit tells us “the things that are freely given to us” (1 Corinthians 2:12). “Thanks be unto God for his unspeakable gift” (2 Corinthians 9:15). OUR BLOOD MAY BE REJECTED DUE TO DISEASE, CONTAGION, OR CORRUPTION. JESUS’ BLOOD IS PURE AND SINLESS. Forasmuch as ye know that ye were not redeemed with corruptible things, as silver and gold, from your vain conversation received by tradition from your fathers; but with the precious blood of Christ, as of a lamb without blemish and without spot. . . Seeing ye have purified your souls in obeying the truth through the Spirit unto unfeigned love of the brethren, see that ye love one another with a pure heart fervently: being born again, not of corruptible seed, but of incorruptible, by the word of God, which liveth and abideth for ever (1 Peter 1:18-23). Precious: “Of worth much; that which is costly.” Something flawed or imperfect would not be precious. Without blemish: Absence of physical defect (Exodus 12:5; Leviticus 22:20-21 ; cf. Hebrews 9:14). Without any spot (amomos), as the paschal lamb. Without spot (aspilou). Without stain, in a moral sense (1 Timothy 6:14; James 1:27; 2 Peter 3:14). Incorruptible: Corruptible seed results in decay and death; incorruptible seed leads to eternal life. The number one reason blood donors say they give is because they “want to help others.” That is why Jesus came to make His donation (Luke 19:10). Conclusion: There is no substitute for blood. Modern science has done much in the fields of medicine and hygiene, plastic surgery, and synthetic replacements. If a leg is lost, and artificial one is made; if a nose is broken or the face burned, plastic surgery is performed; if a lung collapses, it can be restored. Even the heart can be replaced, but no synthetic blood has been manufactured, nor is there any substance that will substitute for it. The precious nature of blood is clear in both the Old and the New Testament. Blood sacrifices were required for the forgiveness of sin. The blood sacrifices of animals never dealt with the sin problem permanently. That took the blood of Jesus. 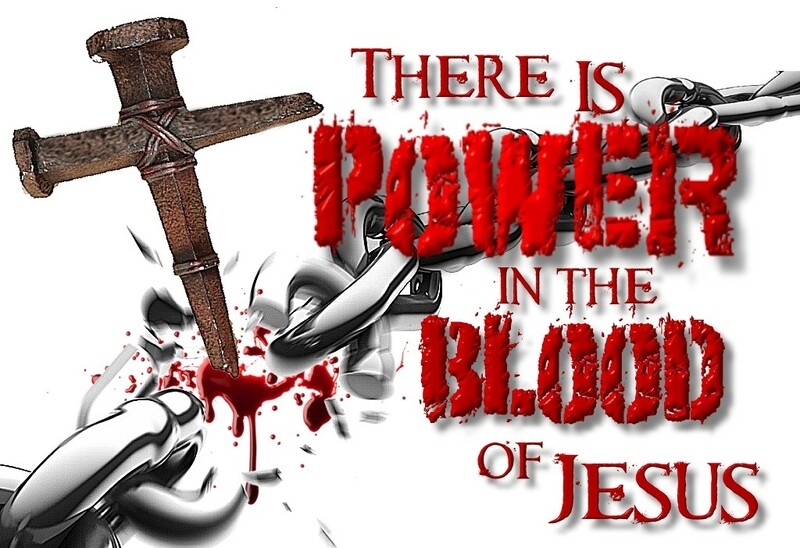 John declares, “The blood of Jesus . . . cleanseth us from all sin” (1 John 1:7). One pint of your blood can save up to three lives; one drop of the blood of Christ can save the world. If for any reason your life has not known this divine transfusion, receive it now (Mark 16:16). There is life in the blood.